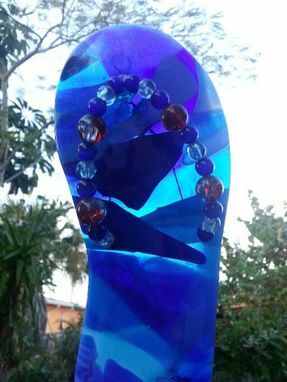 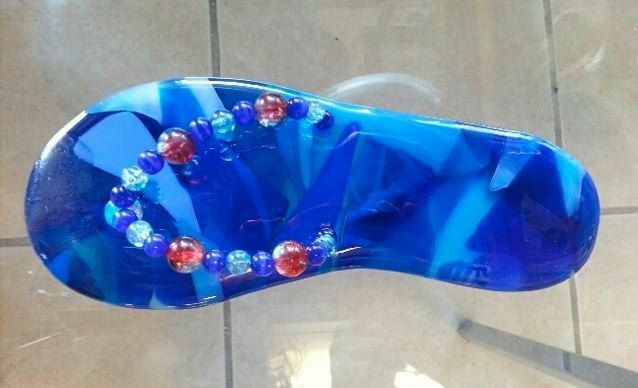 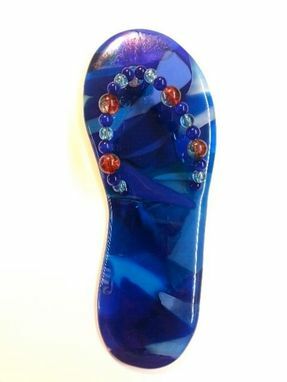 Flakes of glass in multicolor fused into a whole, make the sole and soul of this ornament, while beads in various shades of blue make up the thong of the flip-flop suncatcher. 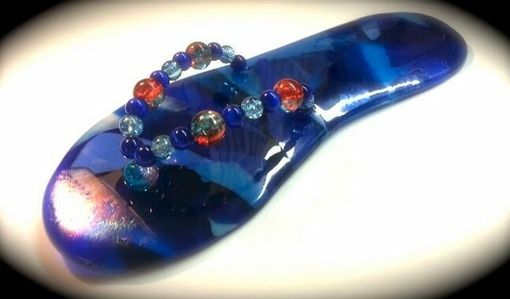 You may be tempted to set one, two, or a few on your walls, but it's also a good idea to hang these irreverent art pieces by your windows or ceiling lights for a smidgen more glam. 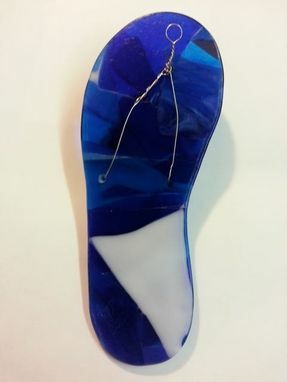 The suncatcher measures about 8 1/2'' in length by 3 1/2'' in width.